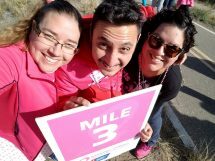 The UNM Cancer Center's Stride Side by Side team walked in the American Cancer Society's Making Strides Against Brest Cancer walk on Saturday, October 28. They raised $905. Thank you! 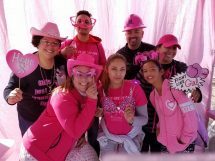 The Stride Side by Side team walks to raise money for breast cancer.